If you run any kind of website especially eCommerce,your leads and sales will go through the roof! 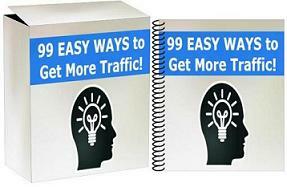 that reveals secrets to increase your email opens and clicks. Are your subscribers opening your emails? Are they clicking and buying from you? [Solo Ad Madness] Why Solo Ads? As many of you may have known, I’ve only started list building around 1 year ago. I now have over 5500 subscribers on my list. I have purchased solo ads before, but I have never sold solo ads of my own. I will start selling solo ads very soon. [LIST PROFIT HACKS!] Email List Optimizations and Hacks! Learn how to reduce costs, increase efficiency, and squeeze more money out of your email list. Using This Email Feature Can Make You MORE MONEY Instantly! Getresponse Service Sign Up Now – First Month FREE!